One owner home has been amazingly maintained and updated-Move in ready in Canterberry. 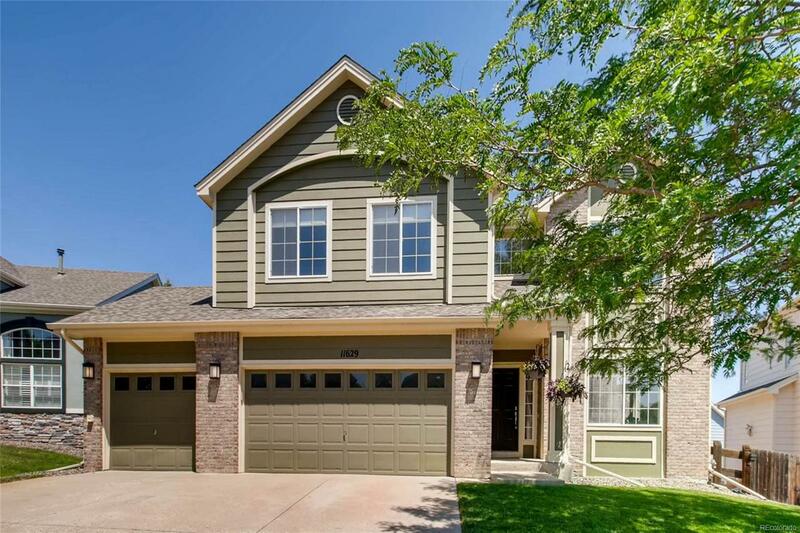 Light filled home with soaring ceilings, open floor plan and new engineered hardwood floors throughout main level. Gourmet Kitchen features 42 cabinets, granite countertops, travertine backsplash, center island, upgraded light fixtures, built in desk area, pantry and new black stainless appliances! Large Master retreat with ensuite bathroom and oversized walk-in closet. Two more bedrooms upstairs with adjacent full bath as well as private office with French doors (could convert to 4th BR). Family Room has surround sound speakers, built-ins and gas fireplace. Expansive unfinished walkout basement is ready for your finishes! Enjoy your beautiful backyard on newly refinished deck or covered patio below. Home Extras: New millwork and doors. Fresh paint. Updated lighting. Double staircase. Large laundry room (W/D Stay). Beautiful views of countryside. Walking distance to elem school, parks and trails. Offered by Osgood Team Real Estate.